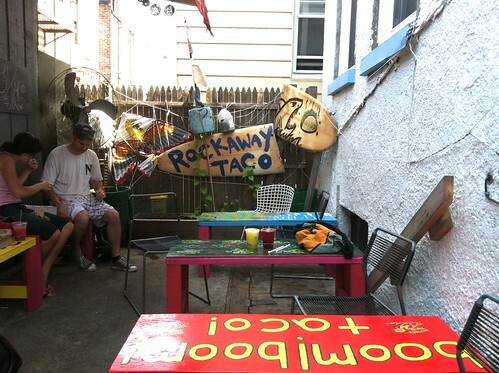 Bike ride from home to Far Rockaway Beach / Rockaway Taco = 30 miles total, 2 hours one way. 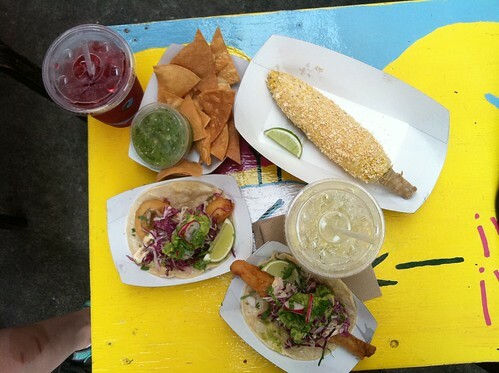 This time around we skipped the scenic route of Ocean Parkway and dived straight into Bedford Avenue. From Beford you can still connect onto Shore Parkway and over onto the Marine Parkway Bridge into Fort Tilden. Its not the "safest" route, but its much more direct. 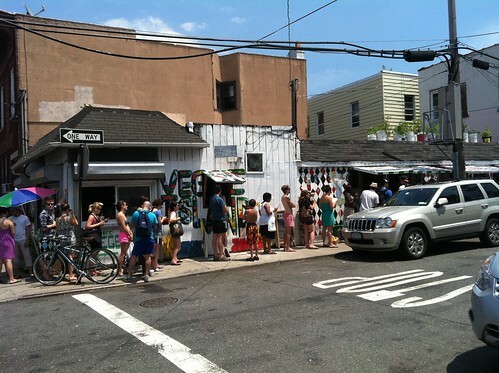 (Click here to see post of ride to Fort Tilden). 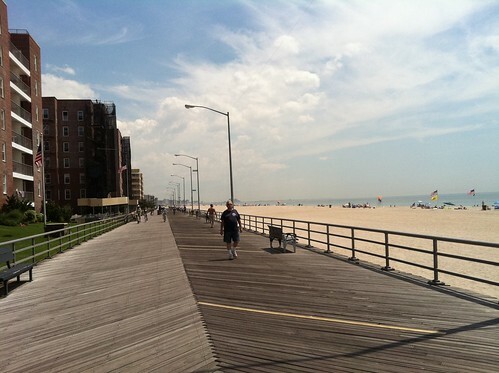 From Fort Tilden, you cruise along the boardwalk. 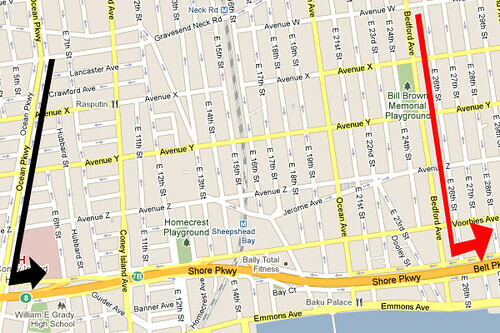 You can also run parrallel on Rockaway Beach Boulevard if youre in a rush. Cute outdoor seating with a guy strumming the guitar next door. 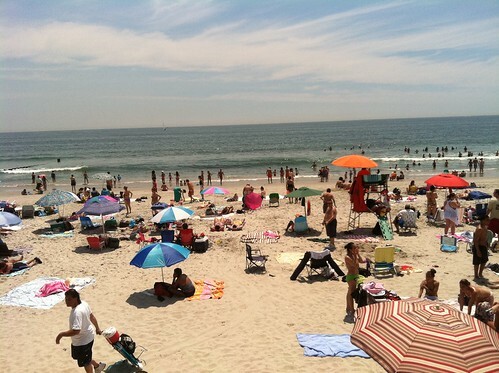 I say if you're already out at Far Rockaway you know, surfing and sunbathing as your main priority, having all this smorgasbord of food (huge list...Rockaway Taco, Caracas Arepas Bar ,Ode to the Elephants, etc) is a tremendous plus. Having said that...Dont let all the hype from the press ruin your experience...its just better fried food. No matter what though, it is 10xs better than having the flimsy hot dogs and rubber burgers we usually get at the food stands. I am hugely grateful and support these guys. Its a definite perk having them all here. 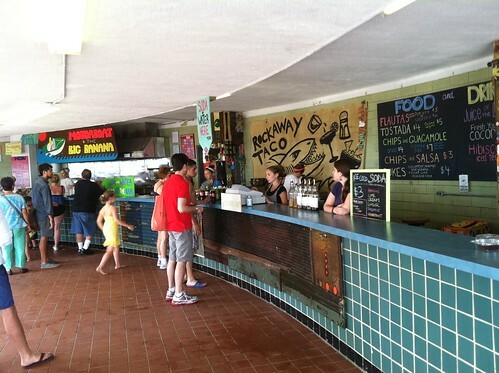 Also, Rockaway Taco has TWO locations, same food. You can skip that huge line on 96th Street and just walk up to the sand and water on 106th to the rest of the food court. And no meal is complete without something sweet. 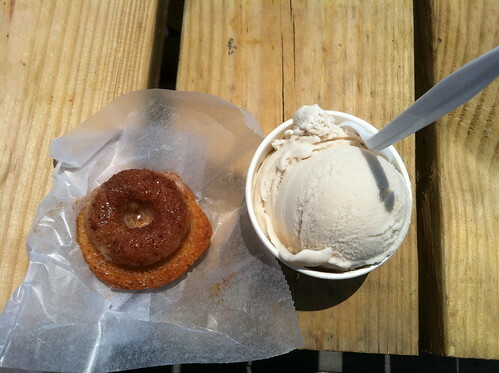 Magnificent vanilla coconut ice cream from vegan Baby Cakes.